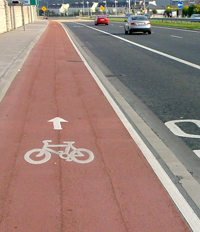 Cycle networks provide a mesh or grid throughout the city to facilitate cyclists. A well designed cycle network will include a hierarchy of corridors that provide for different levels of cycling traffic and also offer cyclist route choices. This section discusses the components of an urban hierarchy and how urban networks relate to the National or Inter Urban cycle routes. 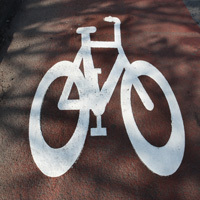 The National Cycle Network needs to be connected to the Urban Cycle Network, and should be recognisable and legible within the urban area. 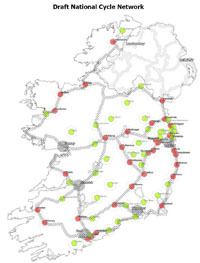 Green Routes are provided specifically for tourist, recreational and leisure purposes, but can also address everyday trip demand. 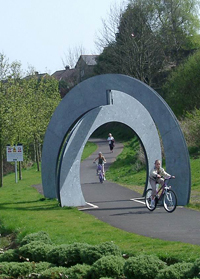 Green Routes should be connected to the Cycle Network, so that they are accessible to cyclists from across the urban area. 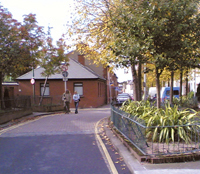 Local streets are generally not included in the Network (unless they are part of a route), but local areas should be connected to the overall Cycle Network. 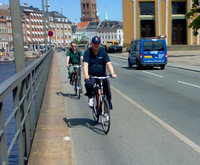 Cycling by its nature is local and most cycling is of 6km or less. Significant daily trips tend to be less than 4km, i.e. within the local neighbourhood. It is therefore important that streets in the locality are “cycleable”, ie. meet the 5 Needs of Cycling. 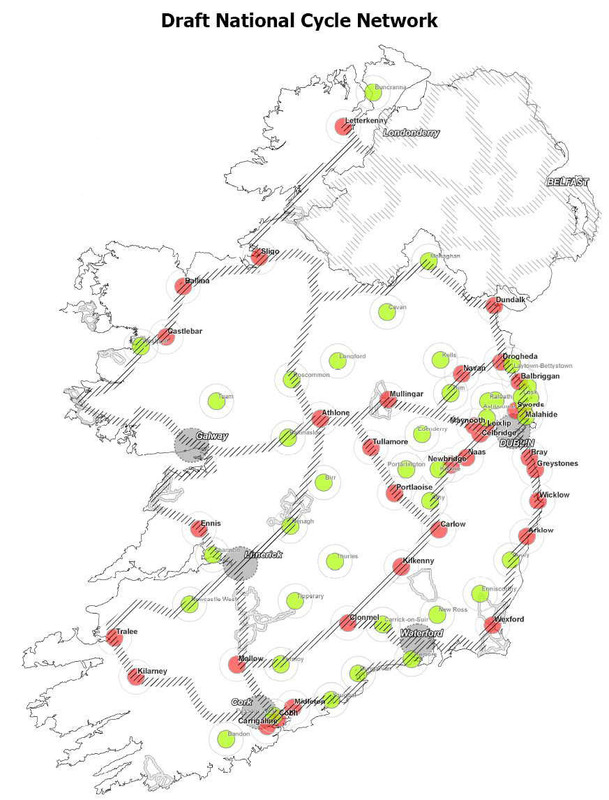 If this does not happen, then cycling from the local area to the network and/or the main destinations is precluded.